Lily isn’t sleeping, but I still try to get up from the bed without making a sound. The curtains are closed, and I open them a peep so that a thin shaft of light comes in, not enough so that anyone from the outside can see us. The shaft travels to the bed, to the body lying there, like someone has traced a line across her belly with a golden brush, and beneath that lick of gold, her skin, oh, Lily’s skin lights up like one of those paper lanterns that you set on fire and send into the sky. I close my eyes and open them again. She hasn’t disappeared on me yet. Lily isn’t sleeping, but she’s still, and her hair runs across the pillow like a rivulet of water. I kneel next to her. I pool it in my hands just like Steven and Marcus and Ahmed and Dan all did before they put their lips to her throat while she lay there unmoving, just like the painter who spilled it across the pillow again and told her she was his muse and now she had to still herself. Lily isn’t sleeping, but she’s still in my bed, looking past me to the curtain, to the courtyard, to the room she should have slept in last night, to the path and the prairie and the hundred animals that are stirring and stretching and inching their way through the whispering grass. I loose her hair from my hands. I turn her face toward me. She doesn’t meet my eyes. She’s still looking out to the sun and the stream and the roads that travel like arrows into the city where her husband is probably still asleep in their bed. I run my hand from her cheek to her shoulder, the curve of her breast, the swell of her hip, the top of her thigh, where the hair shimmers in the golden light, where the hair is downy as the fur of the rabbits creeping toward us through the brush. I know that thigh has pushed the doors ajar in a hundred old houses, pressed against her calf as she squats to take another picture of the structure of shadow and light. I know that thigh flexes when she runs through the city at night and the only thing she hears is the sound of her breath in her ears and the faint scream of sirens. I know that every man who climbs into her bed folds that thigh around himself the way he folds a bedsheet and tosses it to the back of the closet. I know the painter folds her thigh in the light the same way he folds the wings of a paper crane and then traces his eyes and his brush along every unmovable curve. Lily isn’t sleeping, but she’s still in my bed, and she is motionless, the way she always is with men. I want to whisper to her that here in this bed, we are women, and we are the only two in the whole wide world. This is how they like me, she says. This is how I like you, I say, and I spread her legs, and I put my tongue inside her, and for the first time, she is alive. 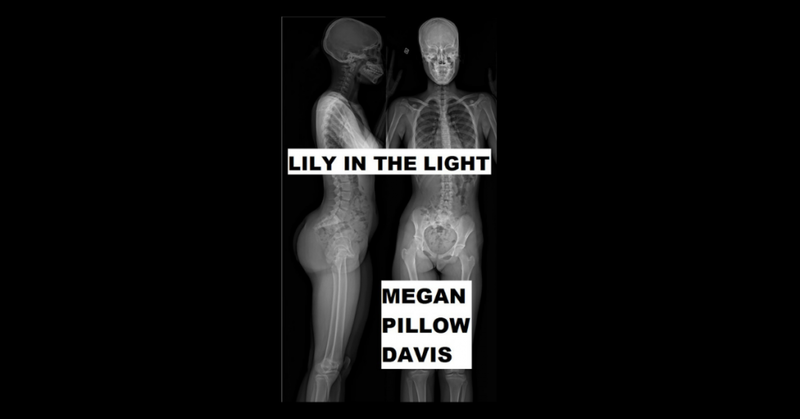 Lily in the light jumps like a rivulet of water against the hot of a pan, like a rabbit darting through the brush, like the pulse in her thigh that thrums against my cheek when she folds her legs around me. I put one hand underneath her and the other on the gentle swell of her stomach, on the skin that is glowing in the light of the beam, and in that light we are moving, in that light we are married, in that light we are making art better than any man’s, and I do not tell her, I would never tell her, but in that light I mourn a little, because just like the light, I know the art won’t last.